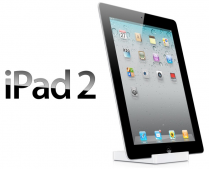 We all know that the exciting new Apple iPad 2 has been this year’s most awaited gadget for the Apple fans. There was a time when the Internet was filled with rumors where bloggers where predicting some possible iPad 2 features and there was a great excitement when Apple announced the launch date for the iPad 2 – March 2, 2011. And it finally came and this new and innovative Apple product with an all new design was unveiled in an invite-only event at Yerba Buena Center, San Francisco. According to my opinion, the only thing which the First Generation Ipad was missing, were the “cameras”. And now when Apple reinvented the iPad, it has got those cameras and looks like they are correct in saying, “2011, the year of iPad 2″. Yeah, that really figures! As now it’s a complete thing for all those who desperately waited for it. I know you are excited, I mean everybody out there has been waiting for this magical device, so being excited to grab it, really does make sense. And if you don’t want to miss out the chance to have it first than you can pre-order iPad 2 as it’ll be available on March 11 for United States and 25th for 26 other countries around the world. But if you are happy waiting in long queues, than you can pick one from a near store after one month of the pre-ordering. Apple has done some serious damage to Samsung Galaxy Tab’s Market Value by not increasing iPad 2′s price. Yes! 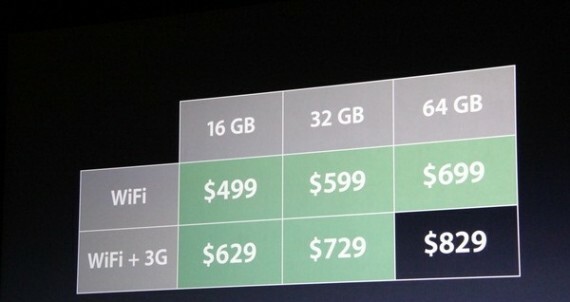 the pricing has not changed for the iPad 2 and it starts from just $499 and goes on depending on the type of connectivity and memory you choose. After watching the launch event of the iPad 2, Samsung is now reconsidering Galaxy Tab’s pricing as they think, Galaxy Tab is “inadequate”. Now say “Hello” to your friends and enjoy the amazing FaceTime along with the HD Video on the iPad 2 shooting 720p videos with the back camera. A5 chip processor has really made the iPad 2 faster in both terms, performance and graphics. And if we make a quick speed comparison between iPad 2 and iPad 1. Than you’ll be glad to know that with A5 Chip, the iPad 2 is 2x faster in performance and over 9 times faster in graphics. The Apple engineers are also looking forward to redefine the applications for iPad 2 for leveraging the complete power of A5 processor and the iOS 4.3. Do you know how much your iPad 2 is in size? Any idea – Well, it’s just like your iPhone 4 in size. iPad 2 is 33% thinner and 15% lighter and looks just like a super model in your hands. The smart cover and the iPad 2 are truly made for each other, a beautiful love story – ”Two Hearts, One Soul”. Yeah, it really is! 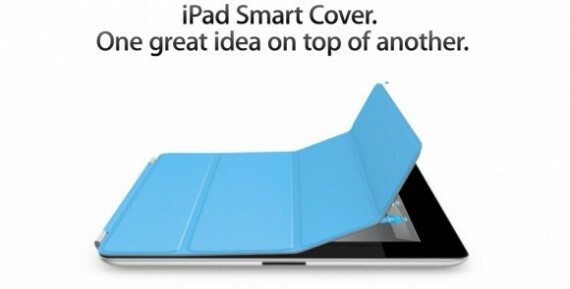 Smart cover for iPad 2 protects your screen from scratches and saves battery, as when you cover it on iPad – it perfectly fits on your iPad 2 as it’s made up of magnet, the iPad sleeps when covered. And when you remove it, it wakes up. It’s just a great thing over the other. iPhone 4 white delayed for spring 2011. But don’t worry, as this time there will be no more delays as Steve Jobs has decided to deliver the white iPad 2s from the day one. I guess, Jobs has learned a good lesson with the white iPhone 4′s delay! It’s faster and powerful. Recently when Gizmodo performed a speed test between iOS 4.3 and iOS 4.2.1 on Safari, they found the difference. It was minor but a recordable difference for the iPad 2 users. Speed is always welcomed!